Poor Pluto. It appears that a dwarf planet discovered in the Kuiper belt by Mike Brown of Caltech in 2005 is really larger than Pluto. 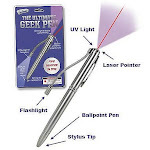 Still, it has been classified as a dwarf planet, which means it is not quite a planet. 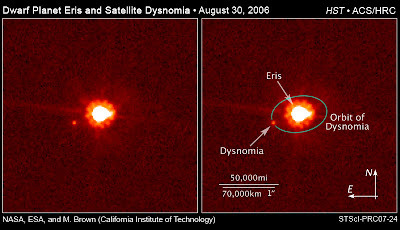 It has a satellite called Dysnomia. 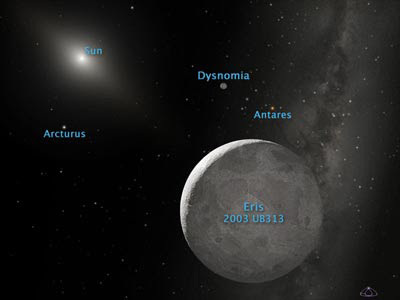 The picture above is an artist's conception of Eris and Dysnomia relative to the Sun and a field of stars.